2019 may be a milestone year for smartphones and techies. 5G service may start in some countries of the world in the first 6 months of 2019. Samsung, a South Korean smartphone manufacturer, can team up with Verizon, a provider of US telecommunications services, to present its 5G smartphone in this summit. Even before the launch of the 5G service, Qualcomm, a chipset maker, introduced the world's first 5G support chipset Snapdragon 855 at Snapdragon Summit running in the US. 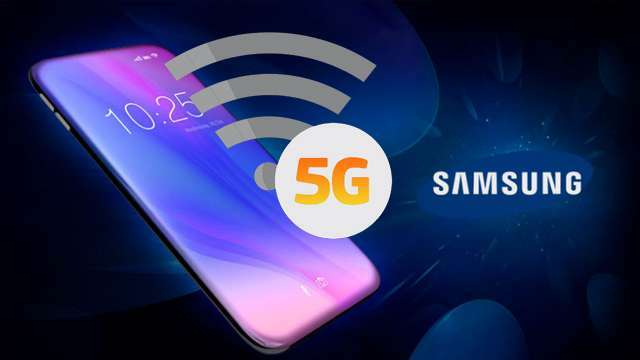 Apart from this, the South Korean smartphone maker Samsung, along with Verizon, a provider of American telecommunications services, can present their 5G smartphone in this summit. This smartphone can be introduced within the first 6 months of 2019. Also Snapdragon 855 chipset processor can also be introduced in the first half of 2019. Snapdragon Qualcomm 855 chipset can be given in Samsung's smartphone. Speaking of this Samsung's phone feature, the Snapdragon X50 5G NR modem and antenna modules can be given in it. In the 5G network you will be able to take advantage of the Internet in multiplication speed compared to 4G. Due to increased bandwidth and fast connectivity in the 5G mobility service, the existing network will be able to get Internet benefits in multiplied speed. Verizon is currently testing 5G networks in many places in the US. According to Verizon's wireless device and product marketing vice president Brain Hingguns, '5G phones will lead to a new round of mobile connectivity. This will give users an experience of connecting data, which was never thought of. ' Samsung's Mobile Product Strategy and Marketing Senior Vice President Justin Dennison says that, "We're going to bring together a smartphone that will change the way people live and work with Verizon and Qualcomm technology." Last week, it was reported from a US newspaper that Samsung will present the Galaxy S10's four models on the 10th anniversary of the Galaxy-S series in February 2019. One of these four models will be the premium model. According to this report, this premium model can be launched in the name of Beyond X which will be equipped with the 5G connectivity feature. However, this smartphone will be launched only for the American market.